Add additional speakers for $99 each. 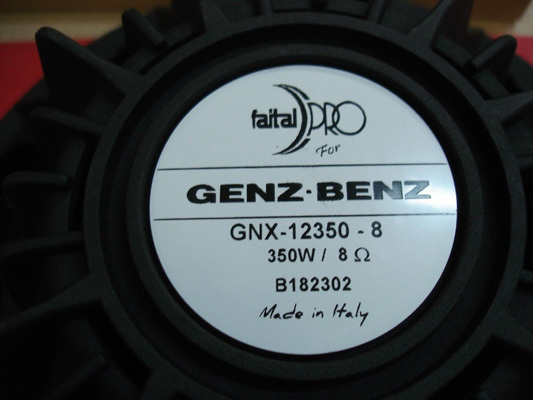 We bought the remaining stock of these fantastic Faital NEO 12PR300’s that were supplied to Genz Benz and have the GB part number Faital magnet label. These are custom OEM versions of the 12PR300 so the specs will be different than the stock versions. 8 ohm only. Each Faital 12PR300 would normally sell for about $200 in retail stores.